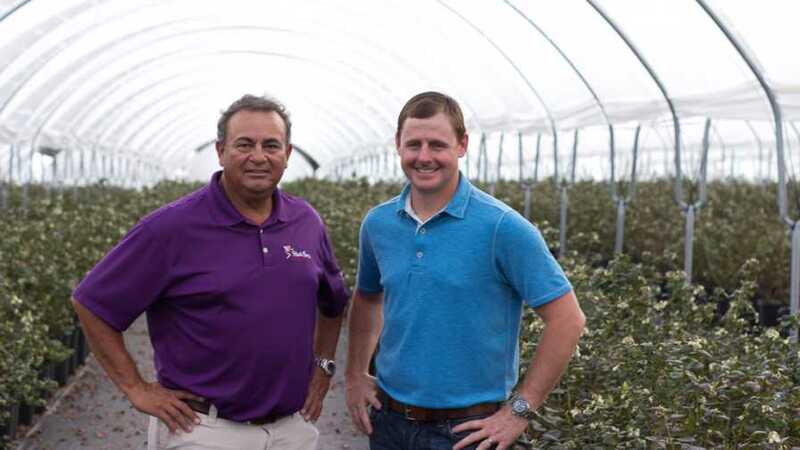 Teddy Koukoulis (left) and J.C. Clinard saw a market opportunity for organic blueberries during the March and early April time frame, so they pursued the Misty Organics venture in Central Florida. 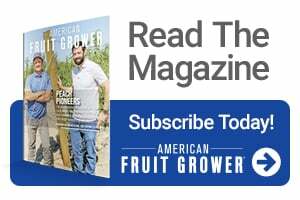 In recent years, Florida blueberry growers have seen increasing imports from Mexico disrupt their traditional market window, which runs from mid- to late-March through April. If Georgia’s harvest comes in a little early, the window to secure a profitable season gets even tighter. 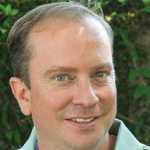 Market dynamics are forcing growers to look for ways to differentiate their product. Organic blueberries are popular with consumers and currently not a competitive force coming out of Mexican production. Teddy Koukoulis, Director of Blueberry Operations for Wish Farms and co-owner of Misty Organics, saw a need for organic blueberries in the marketplace. Koukoulis established Misty Organics in partnership with Gary Wishnatzki and J.C. Clinard. The new joint venture is growing organic blueberries under high tunnels in Alturas, FL. 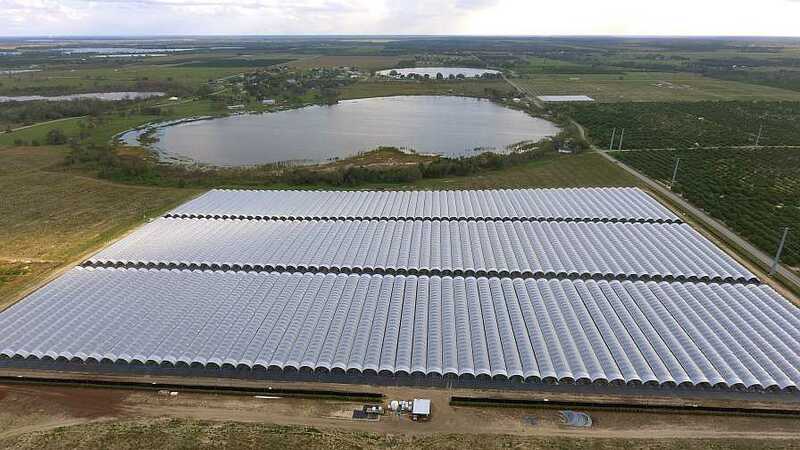 A drone was able to capture this overhead shot of Wish Farms’ new 20-acre farm under high tunnels in Alturas, FL, the home of Misty Organics. One of the benefits of protected agriculture is that it allows growers to control weather variables to some extent. But, selecting the right location also can enhance that ability. That is why Koukoulis and his partners took time to scout for the best location. The 20-acre farm sits on a south-facing slope overlooking a lake. This geographical setup, along with high tunnels, creates a greenhouse effect. This effect encourages earlier harvest, which should deliver higher prices for the crop. The high tunnels provide both freeze protection for the crop and higher growing temperatures during cooler periods. The cover also protects the crop from rain, hail, and general moisture. To complement the benefits that the tunnels provide, blueberry plants are placed in 15-gallon pots and use a state-of-the-art irrigation system with sensors to detect when soil moisture levels hit targets requiring water. The system is largely made up of Netafim components. Koukoulis says they have learned the plants’ demand for water varies throughout the year and will change when the tunnels are removed after harvest. He says it is important to visually inspect the pots for moisture and not to rely totally on the moisture sensors. The pots also benefit production by keeping applied fertilizer in the growing root zone. Fish emulsion fertilizes the plants through fertigation. Soil and leaf samples are taken regularly to be sure nutrition rates stay in the right range. Plants grow in a pine bark and Canadian peat media mix. With three seasons now under their belts, Koukoulis says the plants are well on their way to producing their goal of 180,000 pounds of organic berries across the 20-acre planting.